From tomorrow Quartetto Anthos will record in Limenmusic’s studio a concert for the Web Tv. The Anthos Quartet was born from the encounter of four young friends wishing to play together exploring a rare and exceptional group of classical music, the piano quartet, ensemble that offers a vast repertoire whose writing is almost symphonic. The group aims at promoting not only the knowledge of the masterpieces that the Wien civilization left us in this musical sphere, but also at expanding the repertoire with new or unknown works. For these reasons it has always been interested in developing and seeking new compositions, even in the contemporary literature. Annamaria Morini (flutist) and Enzo Porta (violist) will be in Estonia at the end of February, with a series of interesting appointments. 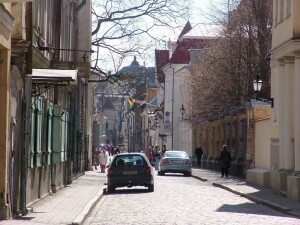 On february 25th in Tallinn, they will perform on musics by Tatjana Kzlova for the Estonian Composers Union’s review. On february 26th at the Tallinn Music Academy the artists will hold a masterclass on the repertoire for flute and violin dedicated to them. Enzo Porta will be also involved in Italy, infact from 15 to 17 March at the Philarmonic Academy in Bologna he will hold a masterclass on the techniques of violin and viola in Giacinto Scelsi’s works. On this occasion Annamaria Morini will performs Scelsi’s Tetratkys for solo flute. For more info about this masterclass, please click here. Coming from different musical background but marked by the common and strong interest for the new and the unexplored, Annamaria Morini and Enzo Porta formed the Duo 23 years ago. Since the beginning this ensemble, unique in its kind, has attracted the attention of many composers, as evidenced by the number of titles in their repertoire (more than fifty), that ranging from Riccardo Malipiero (1914 – 2003) to Yotam Haber (1976). The Duo is regularly presents in major seasons and festival of contemporary music, in different countries of Europe (from the Teatro alla Scala in Milan to the Darmstadt summer courses), Israel and latin America. 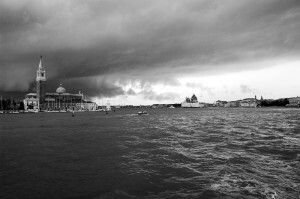 This time, many are the intersecting characters: a novella, Death in Venice, by Thomas Mann (1911-1912); the same-name movie directed by Luchino Visconti (1971); the Adagietto of the Fifth Symphony by Gustav Mahler (1901-1904); the life of the German poet August von Platen (1796-1835); and last a choir piece of the French composer Gérard Pesson, Kein deutscher Himmel (1997). Few days ago the talented and renowned pianist Takahiro Yoshikawa, has returned in Italy, after a series of concerts in his homeland, the Japan. In all the concert, he obtained a great success from the audience for his reliable and intensive executions. 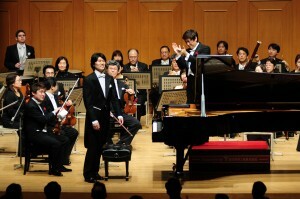 In the first concert, held in Osaka on January 22nd at Izumi Hall, he has performed with the Kansai Philarmonic Orchestra, conducted by Sachio Fujioka, in Rachmaninov’s “Rhapsody on a theme of Paganini”, Op. 43. 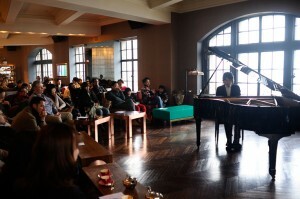 In the second concert held in Shanghai on January 29th, 2011 at The Glamour Bar – Shanghai’s Sexiest Bar, Takahiro Yoshikawa proposed to the audience pieces by Chopin, Nocturne No. 8 in D-flat major Op. 27-2 and Polonaise No. 6 in A-flat major Op. 53 “Heroic”, and by Liszt, Consolation No. 3 in D-flat major S. 172-3 and Mephisto Waltz No. 1 S. 514. Moreover he performed Ravel’s Gaspard de la Nuit, that will be part of his next album, entirely dedicated to the night and available from spring 2011. From today, February 10th, 2011 you can find on Limenmusic Web Tv, in the On Demand area, the first concert of the musical season of Divertimento Ensemble: Rondò 2011. 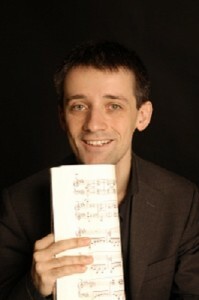 On Febraury 10th, 2011 at Bocconi University in Milan: Alfonso Alberti in concert. Today Ars Trio di Roma will record in Limenmusic’s studio a concert for the Web Tv. Since its debut in 2001, the Ars Trio di Roma has stood out as one of the most interesting young trios of the Italian scene. Specializing under the guidance of the Trio di Trieste at the Accademia Musicale Chigiana in Siena (with Diploma with honors at the end of the course), the same year the Ars Trio di Roma won the First Prize in the International Competition “Città di Pinerolo” and the First Prize in the prestigious International Competition “Premio Trio di Trieste” in Trieste. The trio is made up of: Laura Pietrocini (piano), Marco Fiorentini (violin) and Valeriano Taddeo (cello). On the strength of a complete repertoire, ranging from classical to modern choice (Mozart, Beethoven, Brahms, Schubert, Schumann, Dvorak, Ravel, Shostakovic) the Trio has always paid extreme attention to contemporary music as well, performing regularly on programs of authors like Copland, Shchedrin, Kagel and Henze; in 2005 the Trio has executed for the first time the Triplo Concerto for violin, cello, piano and orchestra by Michele Dall’Ongaro, a composition which was expressly dedicated to the Ars Trio di Roma. 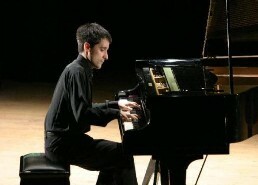 In 2007 the Trio has performed for the first time in Italy the Segundo Trio by Luis De Pablo. Don’t miss this beautiful concert at Limenmusic Web Tv! Dulce refrigerium, sechs geistliche Lieder für Klavier (1984) is the place, within the piano production of Niccolò Castiglioni (1932-1996), where the spirituality of the Milan-born composer is more fully expressed. To get into the meaning of this spirituality we ought to say that it is deeply rooted in mysticism, and especially in that of the German poet and mystic Angelus Silesius (1624-1677).